Cricket came to me rather late in my sporting life. Normally, one forms strong attachments to particular sports in childhood or early adolescence (to paraphrase a quote, credited to former Montreal Canadiens goaltender Ken Dryden, “The golden age of any sport is whenever you are 12 years old”). For me, growing up in western Canada, it was always about hockey. My sporting palate broadened in my teens and early 20s – football, baseball, and a brief flirtation with rugby – but little could I have imagined that cricket would have become a near obsession in my late 30s (perhaps part of a mid-life sporting crisis, but I digress). The reasons for my attachments appear to be two-fold. First, it helped to feed the Anglophile part of my personality. I feel very comfortable in England, and always have – though, my interest in cricket formed long after two prolonged spells living and studying in England, so perhaps the attachment was quasi-diasporic. Secondly, my maternal grandfather was a cricket umpire – both in Canada and England – and, though I didn’t know him (he passed away before I was born), I learned that he and I travelled a similar path in life – in our schooling, careers, and interests. Perhaps by learning about cricket, I was implicitly trying to understand something of myself and my own heritage. Last summer, I had the chance to watch a four-day match at the St. Lawrence Ground in Canterbury. The choice of the ground was not coincidental. I had unearthed some photographs my grandfather took of a three-day match between Kent and Australia in August 1953, and it seemed a place that was very important to him. Of course, I don’t know this to be true – he did not leave a diary or letters waxing poetic about the Ground, nor do my mother, aunt or uncle recall much about that match in particular or whether he was particularly fond of that place. Still, heritage – as David Lowenthal reminds us – is perhaps more about faith than fact, so believing that he and I shared a connection through the St. Lawrence Ground was all the veracity I required. 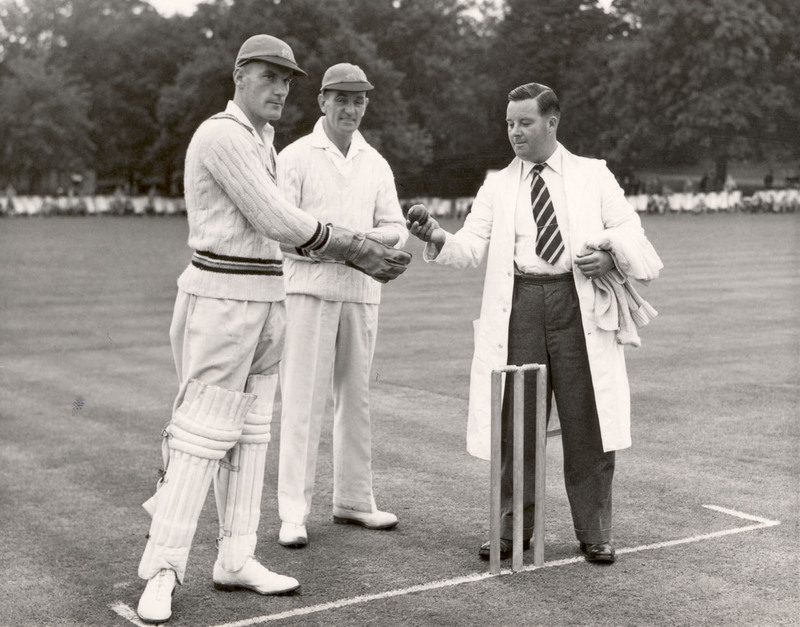 Parallel to this personal connection to my grandfather, the three days I spent at the ground (Kent defeated Leicestershire by an innings and 279 runs, ending the match just after tea on the third day) was, perhaps, the most distinctively English cultural experience I had ever experienced. For me, it blended something of an authentic sport/cultural tourism experience with something more personal, all with the spirit of my grandfather as my guide. Of course, I realize this is all very romantic stuff – and, I suppose, I am simply being swept up in the anticipation for The Ashes, and wishing I could be in England to experience something of it. I know that cricket is not England – that the heritage of England is far more diverse than a sport, and that the spectators at places like the St. Lawrence Ground are not remotely representative of England as a whole. I also don’t know for certain that the St. Lawrence Ground held a special place for my grandfather, although I would like to believe that it did. Still, standing behind the bails during one of the perambulations, I couldn’t help but think that I may be sharing the same space as my grandfather (indeed, he may have umpired at the Ground) viewing something of the same English sporting ritual. For me, it was – and remains – a very powerful heritage experience. By Gregory Ramshaw in Uncategorized on July 9, 2013 . Just a few points: that was not a ‘test’ you saw – Test Matches are between countries (internationals) only. 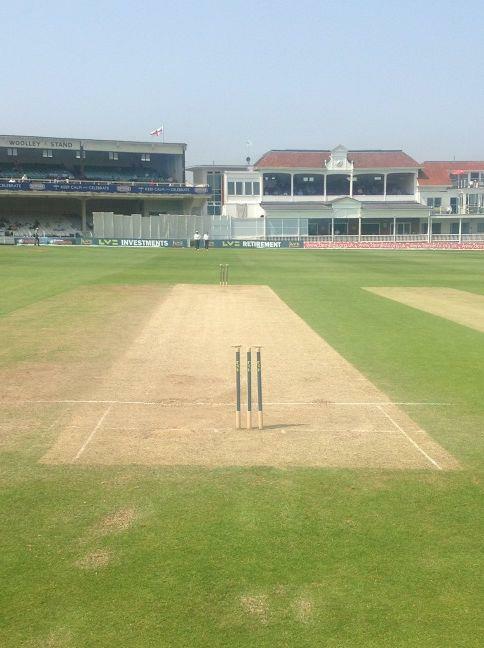 You most likely saw a County Championship match or One Day game. The year 1953 is a significant year in Ashes history, since it was that year that England regained the Ashes after a 19 year wait. Also, ‘bails’ is the correct spelling for the two pieces of wood that mount the three stumps. But interesting article nonetheless! Thanks for the clarification re: test – did not realize that it was only for international matches, and for spelling re: bails. Still learning the terminology.